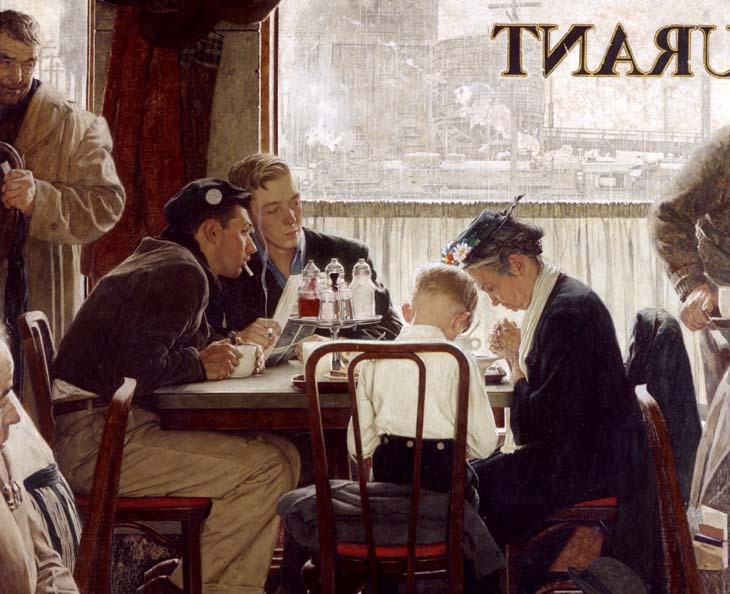 Norman Rockwell Museum does not offer appraisals or authentications. 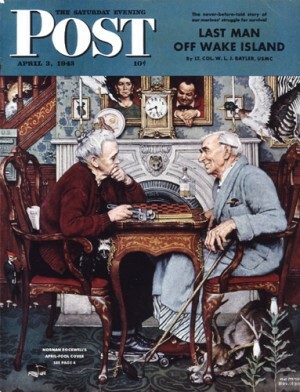 Norman Rockwell is one of the most popular and licensed artists of the 20th century. His paintings have been reproduced in many different forms, including mass produced open editions, as well as limited edition prints personally signed and numbered. 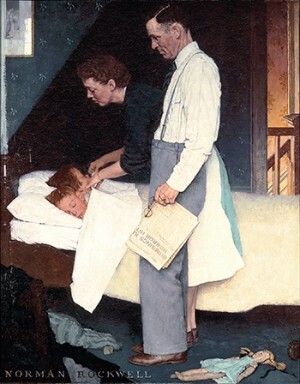 If you believe you have a signed Norman Rockwell, the only way to access an accurate value is to have the piece inspected by a licensed appraiser. In all cases, it is assumed these professionals will impose a service fee. Certified appraisers can be contacted through the following organizations. 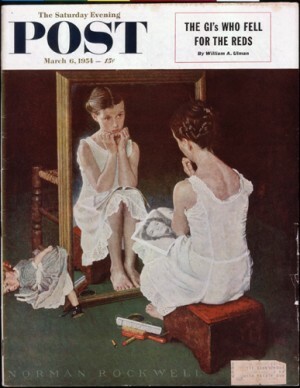 The Norman Rockwell Museum is always looking to collect Rockwell artwork and memorabilia. For more information please see our Gifts of Artwork page. 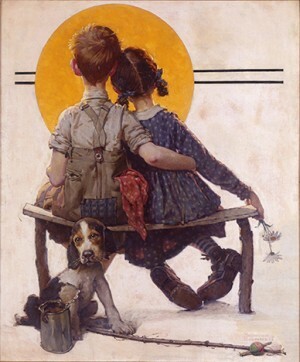 The Norman Rockwell Museum has a Consignment Program designed solely for the sale of prints signed by Norman Rockwell. Please review the following conditions and terms here before contacting the museum. 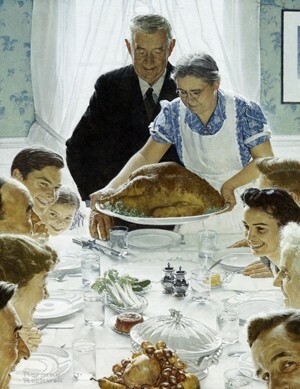 WHAT DO I NEED TO KNOW ABOUT MY ROCKWELL PRINT? 4) it is limited in quantity or edition up to 295 copies. What is the difference between a lithograph and a collotype? A collotype is a photographic printing process which reproduces the original painting with true color accuracy and clarity. 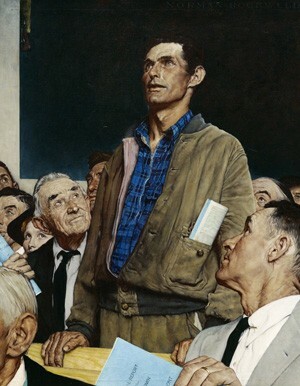 A lithography relies not on photography, but on another artist who actually redraws Mr. Rockwell’s original painting on a series of stones or zinc plates, with a single plate designated for each individual color appearing in the final assembled image. Artists Proofs or A/P prints represent a small percentage of additional prints set aside from a limited edition run, pulled for the artist’s approval, and can either be included in the regular edition or reserved for the artist’s personal use. A/P edition prints are equal in quality to limited edition prints, but produced in fewer quantities. 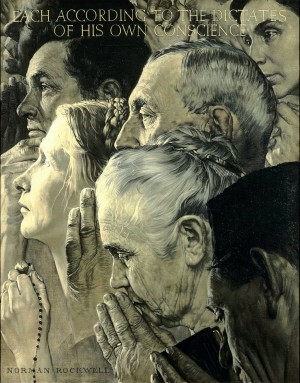 Norman Rockwell personally donated 35 prints of each limited edition series as an endowment to the museum. 34 to be sold, with the 35 th designated to remain in the museum archives. Labeled in a special manner, the markings read A.P. (for Artist’s Proof) with the roman numeral of the print itself and the number of the series, for example AP X / XXXV. These XXXV are not available anywhere else, unless they are being sold second-hand. The second group of sixty prints were initialed A.P. (for Artist’s Proof), but were not given any number. The remaining group of 200 prints were numbered in Arabic fraction, 1/200 through 200/200, which accounts for all 295. This group lacks the A.P. marking. All the prints are hand signed in pencil (so they will not fade) in the lower right corner and numbered in the lower left. Like stocks and real estate, art prices fluctuate; popularity and demand dictate price. When released for sale, the print maker sets a suggested retail price. Whether a lithograph or collotype, the greater the demand, the higher the value. We suggest you buy what you like and you will never regret your purchase. Our prints range in price from $1,000 to several thousand. In general, you will find our prices a bit lower than the average retail. This is because we do not estimate or inflate values, but quote an actual value a piece has achieved in the past. We invite your further inquiries.